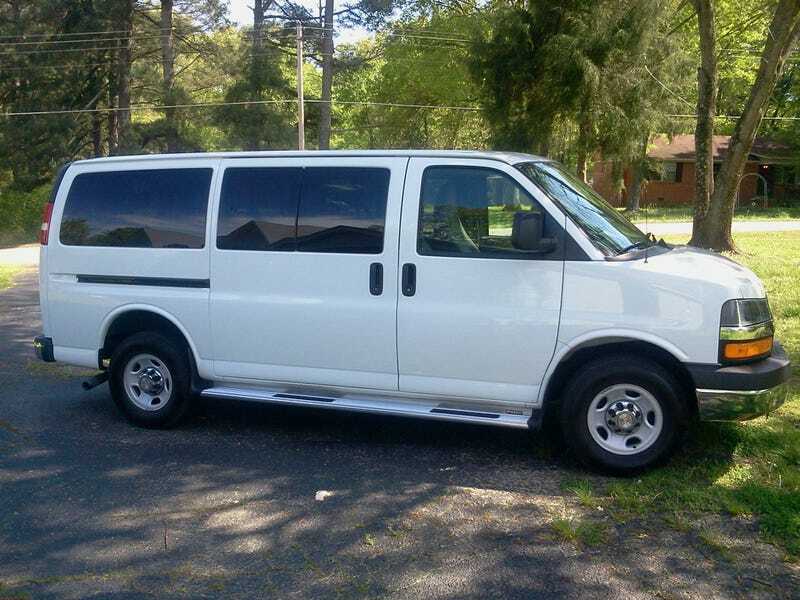 After looking at how the suspension is built on my New 2012 Express van, I have determined I can lift it by approximately 2.5 inches, without interfering with other components, suspension travel, or capacity. My CAD diagram for lowering the spindle is presented below. Gonna... gonna go ahead and do it. I started machining the parts last night. My math, measurements, and redneck sense indicate I am seriously FUCKED for wider tires, thanks to the rear sliding door. I might be able to get away with 265 series tires. Gonna go 255/85R16. This gives me 33 inches and change of tire, while not going so wide that the slider is gonna get snagged. I will have to use some offset in the rear to be safe with more aggressive treads. When its all said and done, the center of gravity for the vehicle will be moved upwards by about 4 inches. This is actually a pretty startling amount. I will also regear the rear end and calibrate the transmission to adjust for the tires. The new tires will be about 13.5% larger inn circumference than the old tires, which drops my effect gear ratio a BIT too much for my taste. In addition, I will transfer my GMRS, HAM, and APCO-25 radios into the van. I am thinking about ordering a custom roof rack to attach solar panels, fabbing a front bumper, some RIGID LED bars, and install a second battery under the body. I already have sketches of this as well. The air compressor mount setup isn't sketched yet, but there are some nice holes in the from in front of where i intend to put the battery for an air compressor and 2 gallon or so tank. I am also buying a second, slightly older, less under warranty van to cut up for the next phase of my project. Just because GM didn't build a 3500 in 4x4, doesn't mean I can't.